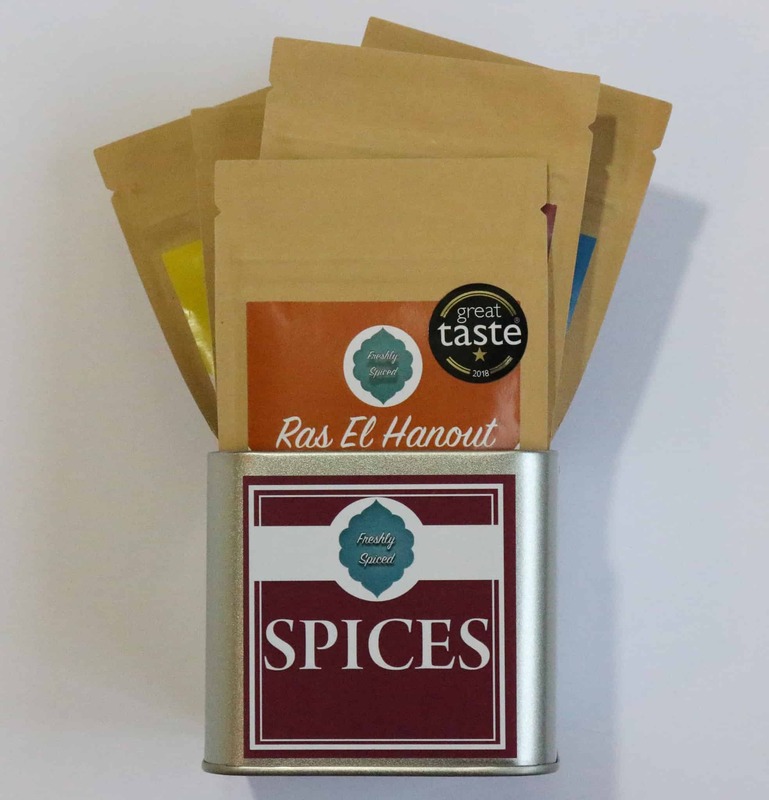 Speciality Spice Tin is great for anyone who loves to try unique flavours, with 4 unique blends and a range of unique recipes online. We have recipes for tagine’s, honey and sultana cake, Indian scrambled eggs, Venetian prawn spaghetti and much more. 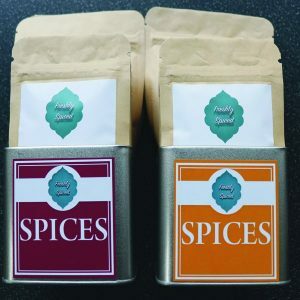 Speciality Spice Tin Set comes with 4 of our unique, fresh spice blends and one tin for easy storage in your cupboards. You can store multiple spice blends in one tin too. 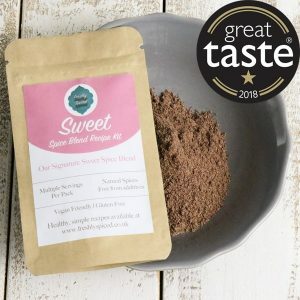 Our spices are produced to be used immediately whilst really fresh, with this in mind we advise you to use the spices within 6 months, although the actual best before ranges from 8 months to a year. 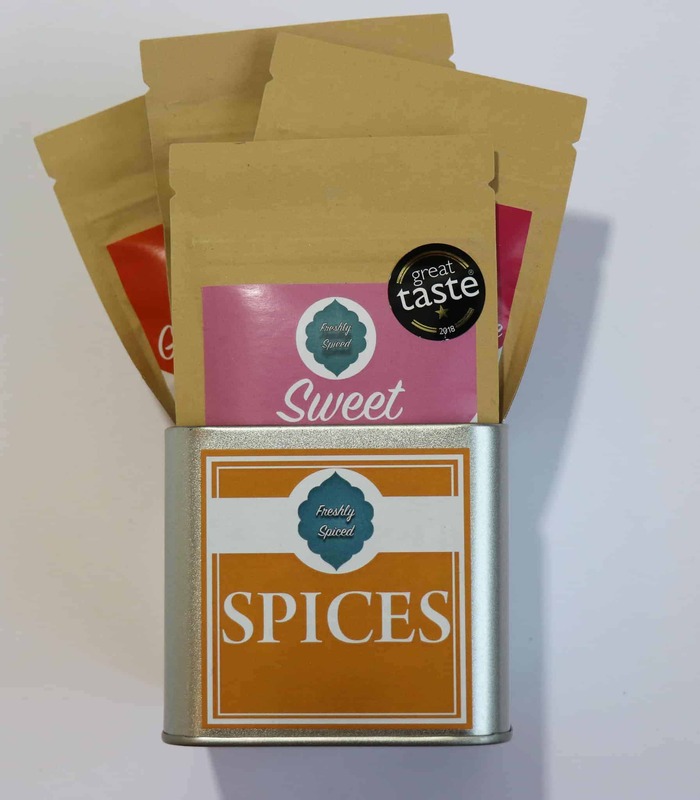 The pack contains 4 spice blends offering a variety of healthy meal ideas. The 25g Pouch provides 2 people around 3 servings. If you wish to change any of the blends, please add a message in the notes of the order. Don’t forget to check all the accompanying recipes. Visit our recipe page here. We have recipes for tagine’s and dips, marinades and tofu flavourings through to curries, salads and much more. 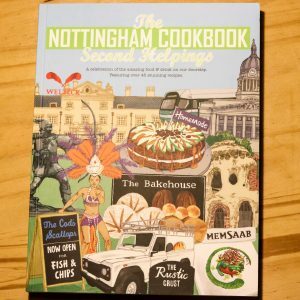 The Nottingham Cookbook: Second Helpings along with our deluxe spice tin set. Create our easy recipe from the book and many more found on our site. A great gift idea. Check out our recipes page and feel free to create your own dishes and share with us. Our kebab/kofta blend allows you to create amazing lamb/chicken/ Quorn mince kebabs at home. I find the simple, natural flavours offer a great taste and allow for a simple family meal which feels like you’re having a takeaway.